The Sitework Supplier team will ensure a complete understanding of the materials, hauling, pavement maintenance and services that we provide. By working directly with your estimator, job site foreman or supervisor we can assure you that we will put our best efforts into securing a cost effective supply of materials and services to your project. (Yolaxys) Jolie: Received her bachelors degreee from Florida International University in Miami, she is the organized one behind the Sitework Supplier name. As a manager at Sitework Supplier Jolie handles sales, quotes, dispatch and oversees the billing department. Jolie is originally from Cuba and speaks fluent Spanish and English a real benefit to the Sitework Supplier team. She officially became a US Citizen on March 28th, 2017 and we are so proud of her. 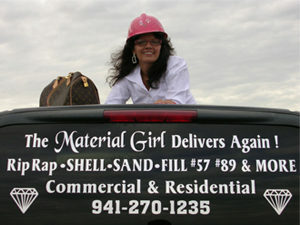 Call Jolie at 941-286-7000 for quotes or any questions you may have regarding materials. 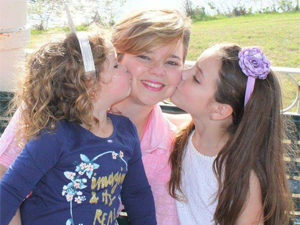 In her free time, she can be found enjoying activities with her two beautiful daughters Sophie and Sabella and her husband Eddy. Sailor the youngest and most energetic of our crew has been in and out of rock quarries, fill dirt pits and construction sites since before she could walk. An expert in all the uses of fill dirt and a whiz at paperwork in the office. Having Sailor around during school breaks is a blessing as she brings such zest and enthusiasm to all that surround her. 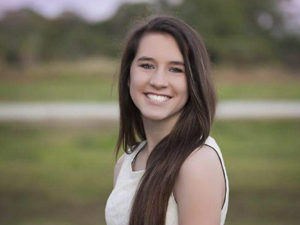 When not being subjected to violating Child Labor laws she can be found attending high school, cheerleading, going on missions trips and being a youth leader. We expect big things from Sailor as we watch her finish out her high school career.